Some foods to eat to lose weight. The food we eat have different effects on our body. While most foods tend to lead to weight gain there are also some foods to eat to lose weight. 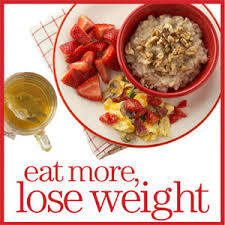 So eating more of these foods can indeed help you with your weight loss endeavors. One of these foods to eat to lose weight is avocados. Unlike other fruits which are loaded in carbs, avocado is loaded with healthy fats. It’s particularly high in the monosaturated oleic acid found in olive oil. Not only are avocados full of fats they also contain lots of water and are thus not as energy dense as thought. They make a great addition to salads as its fats help increase the nutrient uptake in vegetables and also contain lots of important nutrients including fiber and potassium. Apple cider vinegar is popularly used as dressings or vinaigrettes and may even be diluted with water and drunk. Research suggests that drinking vinegar with a high-carb meal helps with weight loss as it helps make you feel full so that you end up consuming 200-275 fewer calories through the day. Vinegar also reduces blood sugar spikes after meals which provides long term health benefits. Though nuts are high in fat, they are not actually fattening. They in fact make an excellent snack with balanced amounts of fiber, proteins and healthy fats. Research has proven that eating more nuts improves your metabolic health and also causes weight loss to make you healthier and leaner than those who don’t eat nuts. Of course, all this is true only if you eat nuts in moderation. They are high in calories so if you have a tendency to go binging and eat lots of nuts, it’s better if you avoid them! Though grains have recently been highlighted as bad, there are some healthy grains like non-gluten and whole grains filled with fiber and protein. Examples are brown rice, quinoa and oats. Oats contain beta-glucans which are soluble fibers which increase satiety while improving metabolic health. Both brown and white rice have significant amounts of resistant starch if cooked and let to cool. Just remember that refined grains are a no-no and some ‘whole grains’ are actually harmful and fattening highly processed junk food. So though you have to avoid grains while on a very low-carb diet, there’s nothing wrong about eating the healthier grains if you can tolerate them and are not on a low-carb diet. Chili pepper is also one of the foods to eat to lose weight as they contain capsaicin which have been proven to reduce appetite and increase fat burning. Capsaicin is also available as supplements and is a common ingredient in many weight loss supplements. Though some studies prove that eating a gram of red chili pepper reduces appetite while increasing fat burning in people who didn’t eat peppers regularly, there was no effect on people used to eating spicy food. This proves that the body may build up some tolerance. So if you are trying to lose weight, besides following a healthy diet, it’s also wise adding these 5 foods to eat to lose weight to your diet. Though you may not find immediate results, results are definite in the long run.